BOYD, ALFRED, businessman, office holder, jp, and politician; b. c. 1836 in England, son of Alfred Boyd; m. Sarah Warner (Warriner); they had no children; d. 16 Aug. 1908 in England. 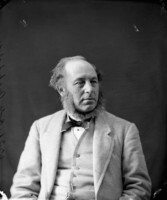 Alfred Boyd may have been in Rupert’s Land as early as 1858. An entry in the journal of daily occurrences at Fort Ellice (Man.) mentions that on 9 July 1858 “Mr. Boyd arrived here from Red River.” A later note by trader Isaac Cowie describes this Boyd as a “British sportsman.” By the eve of the Red River troubles, however, Alfred Boyd was a wealthy trader. He had a store in St John’s parish, but engaged in the fur trade with the Inkster family on a far greater scale. Although precise measures of his wealth are not possible, indirect evidence provides some clues. On 9 Dec. 1869 he wrote to his brother Thomas in England expressing concern that the natives would not trap furs during the troubles and that he would be ruined. He owed £4,000 to the London forwarding firm of Frederick E. Kew (whose agent in Red River was John Inkster*) and £2,000 to his brother. He concluded with instructions to his brother to sell all his property and divide it among his creditors. The letter was written from Hawthorne Lodge, near Lower Fort Garry, one of the most impressive houses in the settlement. Later, when politicial enemies attacked him, they alleged that he had submitted an exaggerated claim for $56,000 to cover losses sustained during the troubles and that he had received $2,000. Boyd replied that these sums were for goods supplied to the government forces and were not compensation, but he did not dispute the figures cited. Just how badly he suffered financially is not clear. He seems to have been at least temporarily embarrassed, for in September 1870 he was obliged to borrow £100 from Inkster. It may have been for financial reasons that about 1870 he moved to Redwood, a house built by William Inkster in St John’s parish. The residence appears to have passed to Boyd as a result of the arbitrated settlement of William Inkster’s estate. If Boyd was wealthy, he was not prominent. In fact, he seems to have gone out of his way to maintain a low profile. He was never mentioned as having attended meetings in the settlement, or as having contributed to worthy causes. In the 1860s suits for debt were common, but Boyd appears neither as plaintiff nor as defendant. He does not seem to have served on any juries. Notwithstanding this animus, Boyd was seen by Adams George Archibald*, first lieutenant governor of Manitoba and the North-West Territories, as “not obnoxious to the French.” Since Archibald found him “a man of fair abilities, of considerable means, and very popular among English half-breeds,” Boyd was selected as provincial secretary in September 1870. (He was also made a commissioner to administer oaths of allegiance and office, a justice of the peace, and a member of the board of health.) Archibald acted as his own premier; consequently, Boyd and the other ministers served as “secretaries rather than advisors.” The old claim that Boyd was Manitoba’s first premier is quite untenable. 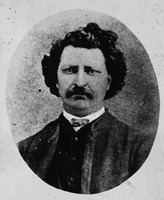 Boyd was returned for St Andrews North in the first elections for the Legislative Assembly of Manitoba, held in December 1870. The following month he relinquished the secretaryship and was appointed minister of public works and agriculture. From July onwards, the ministry was under bitter attack from recent Ontario immigrants, mainly English-speaking and Protestant, who were settling in Manitoba in large numbers. Meetings in his constituency condemned Boyd for doing nothing to build bridges or a jail. His vote in favour of a grant of £500 to the Hôpital de Saint-Boniface and his support of a bill to incorporate the diocese of St Boniface which permitted it unlimited landholding were hurled against him. His response in part was that he was bound by cabinet solidarity, a misleading reply since his voting record showed that he was often prepared to vote against his fellow ministers. Boyd was a founding member of the Council of the North-West Territories, established in December 1872; he attended seven meetings and would remain a member until the council’s reorganization in 1875. 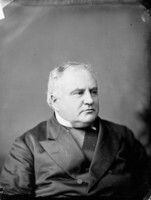 In March 1873 he was appointed minister of education for Manitoba, a post he held until October. He was not a candidate in the next provincial elections. Boyd’s end was as shadowy as his beginning. 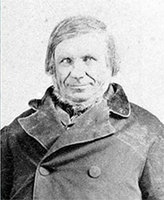 It is said that he left Manitoba about 1889 to live in England. In 1902 he was living in Pimlico, London, but owned numerous properties in Essex and was a wealthy man. At his death six years later he left an estate valued at over £83,000. In addition to the many properties he left his wife, he made generous cash bequests to her, their relatives and servants, and the Royal National Life-boat Institution. He left the remainder of his estate in trust to his wife. Man., Legislative Library (Winnipeg), Biog. scrapbooks, 8 Oct. 1909. PAM, MG 1, C6(B); MG 2, B3-2; C22; MG 3, B6. Somerset House (London), Will and codicil of Alfred Boyd, probated 20 Oct. 1908. Manitoba Liberal (Winnipeg), 19, 26 July, 17 Nov. 1871; 26 Jan. 1872. Manitoba News-Letter (Winnipeg), 8 Oct. 1870; 19 April, 10 May 1871. New Nation (Winnipeg), 7 Jan. 1870. Times (London), 23 Oct., 14 Nov. 1908. Weekly Manitoban and Herald of Rupert’s Land and North-Western Territory (Winnipeg), 22, 29 April, 18 Nov., 16 Dec. 1871. The Canadian northwest, its early development and legislative records . . . , ed. E. H. Oliver (2v., Ottawa, 1914–15). CPG. 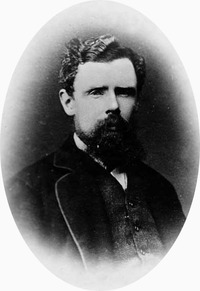 J. J. Hargrave, Red River (Montreal, 1871; repr. Altona, Man., 1977). Louis Riel, The collected writings of Louis Riel, ed. G. F. G. Stanley (5v., Edmonton, 1985). John L. Finlay, “BOYD, ALFRED,” in Dictionary of Canadian Biography, vol. 13, University of Toronto/Université Laval, 2003–, accessed April 24, 2019, http://www.biographi.ca/en/bio/boyd_alfred_13E.html.